The four pen Callicreative set offers the full spectrum of line widths perfect for practising all styles of calligraphy script. The ease and fluidity of the Callicreative italic marker pens means that the pens are highly versatile and can be used for all sorts of decorative purposes such as wedding invitations place cards certificates and more. 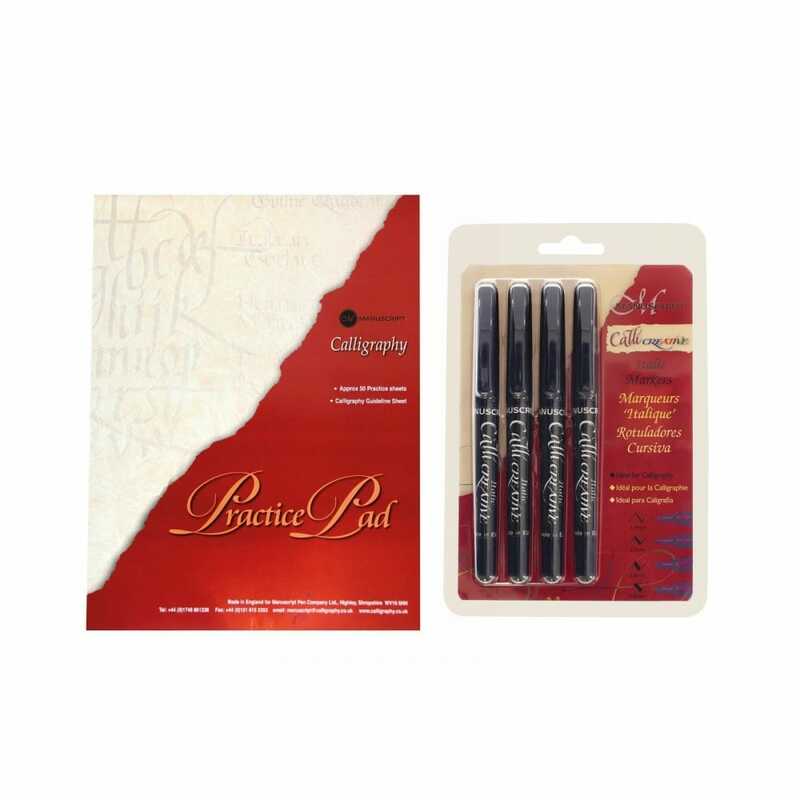 Set Contains four pens tip size 1.4mm, 2.5mm, 3.6mm, 4.8mm each with ergonomic comfort grip for ease of use when writing, black ink and Italic guidelines and instructions included.